Fever Dream Theatre have an intriguing premise for their latest immersive show: upon arrival, the audience is split in half and led to separate bell tents in the garden of C south. Each group then hears a monologue that offers a take on the history of the two climbers whose tents we're sitting in —childhood buddies whose friendship has soured—the performers occasionally communicating via radio or popping round to visit each other in paroxysms of childish frustration. There’s a lot of material about climbing itself, and the performers—the one whose tent I found myself in, at least—are effective in evoking the thrill of finding a new route up a sheer rock face, or the confusion and fear of being swallowed and spat out by an avalanche. The trouble is that these factoids and anecdotes, while interesting, don’t offer much of a dramatic throughline, and the friends’ backstory isn’t much better. A piece of clunky exposition at the very start sets alarm bells ringing and it’s only quite a long way into the show, by the time of the admittedly quite exciting reveal, that you feel you’ve got any sort of handle on the relationship being explored. 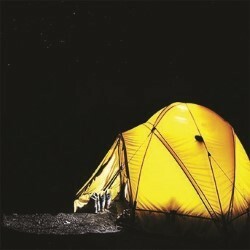 Don't get me wrong: BaseCamp is an enjoyable way of spending an hour, and Fever Dream Theatre are to be praised for the innovative way they’ve chosen to tell this story. It’s just a shame the story itself leaves something to be desired.